These Arizona firefighters are being hailed as saviors for a family and their dogs after a blaze ravaged their home. Members of the Phoenix and Glendale fire departments faced heavy smoke as they entered the home. The homeowners were able to make it to safety. However, their dogs were discovered unresponsive in a rear bedroom. 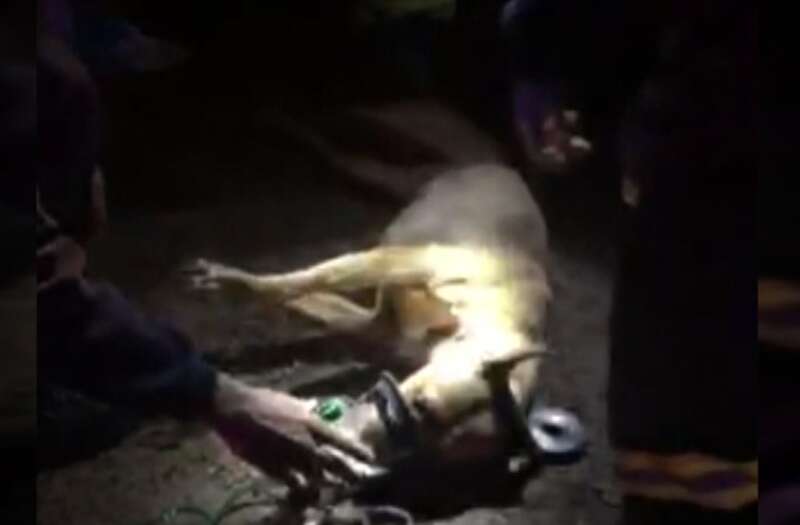 As the crews pulled the dogs out of the home, they used a device called Fido Bags, specially designed oxygen masks that fit around the canines' faces. Regular masks, like the ones humans use, do not fit on a pets' face properly. The firefighters were able to successfully resuscitate the dogs and they are currently breathing on their own. Fire officials have not yet revealed the cause of the blaze, which remains under investigation.